Another great experience with Jeffrey and Laura. We had an immediate need for corporate headshot photography and I was happy to hire them again! Jeff was awesome to work with. Very quick process, very professional, and excellent pictures. Would highly recommend! I highly recommend the services of Jeff Rosenberg and Virtual360NY. Throughout the entire process for our corporate event, Jeff and his assistant Laura demonstrated professionalism and flexibility. They were quick to respond to any question and were able to meet our high demands (all for a very good price). Jeff is responsive and efficient and provides professional quality and service. I needed a photographer in a hurry and Jeffrey was flexible and responsive to let me know exactly when he had availability and the price he charged per my specific needs. He did an excellent job in the shoot and used his and my time efficiently. I highly recommend him for business headshots! We will use him again in our firm. Jeffery was amazing! He was so professional and accommodating, and agreed to meet me at the last minute to work around my crazy schedule. I was so happy with the final pictures - they exceeded my expectations. I would recommend him to anyone and would be thrilled to work with him again. 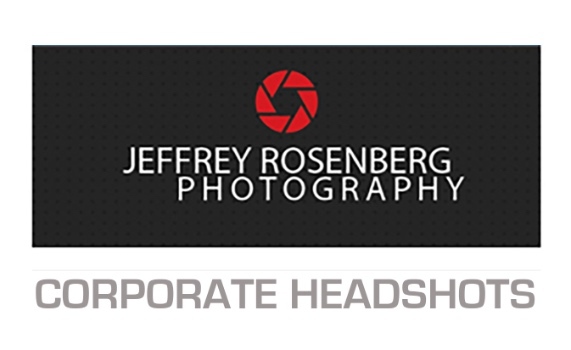 Excellent experience with Jeffrey Rosenberg Photography for an on-site corporate head shot session (±20 people). The photos looked great and it was a pleasure to work with Jeff and Laura. It was a pleasure working with Jeffrey for 20+ corporate headshots to be done in our NJ office. Everything from the quote process, Q&A, scheduling, photoshoot to final delivery was flawless. On top of being professional with all tools & skills required for the job, he has excellent people skills and made everyone very comfortable while getting their headshots taken, which is very important! We look forward to working with him again in the future. Jeff was able to accommodate a last-minute appointment for me and the pictures came out great. Very professional and very quick turnaround. Our New York office needed website photos for members of our new team. Since I am based out of Boston, MA, I searched online for photographers in NY. Many contacts were provided through Thumbtack with varied responses and quotes. The positive response I received from VIRTUAL360NY was a no brainer. The "quote" period was perfect. Laura, the Sales Director, is very professional, responsive, and informative. I cannot ask for anything more. Everything up to the photo day was seamless. The whole New York team felt that this experience with Jeff and his team was effortless and professional. Jeffrey Rosenberg is a wonderful, sensitive, intelligent photographer who not only takes the time and makes the effort to understand his clients' needs and desires but who captures breathtaking images that all are thrilled with and feel represent their businesses at their very best. He is extremely professional and a pleasure to work with. I would 100% recommend him to a friend or any business looking to continue to grow and thrive.